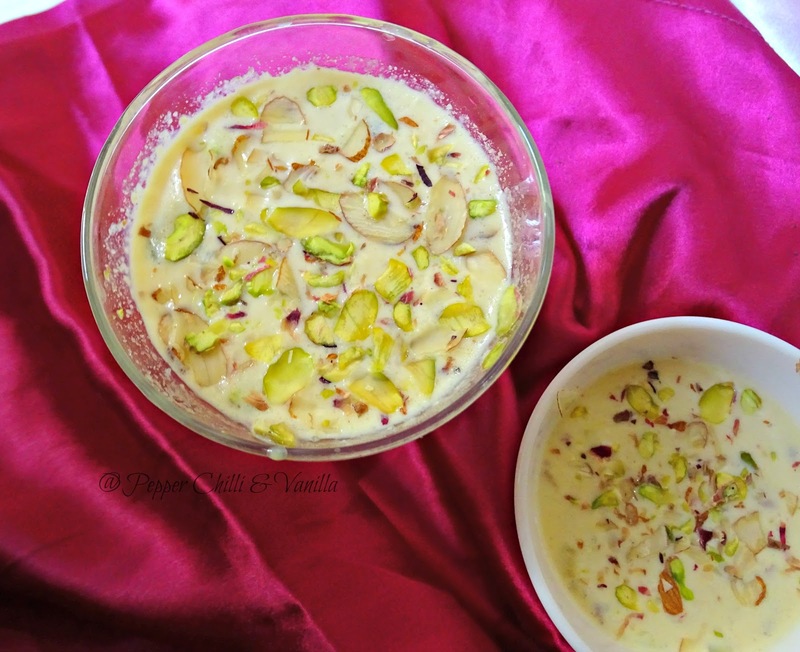 Basundi is one of most popular Indian dessert.Basundi is usually made on festive occasions like Diwali dasshera weddings or any special occasions in Gujarat.Usually served with pooris . Basundi is made with just few ingredients. 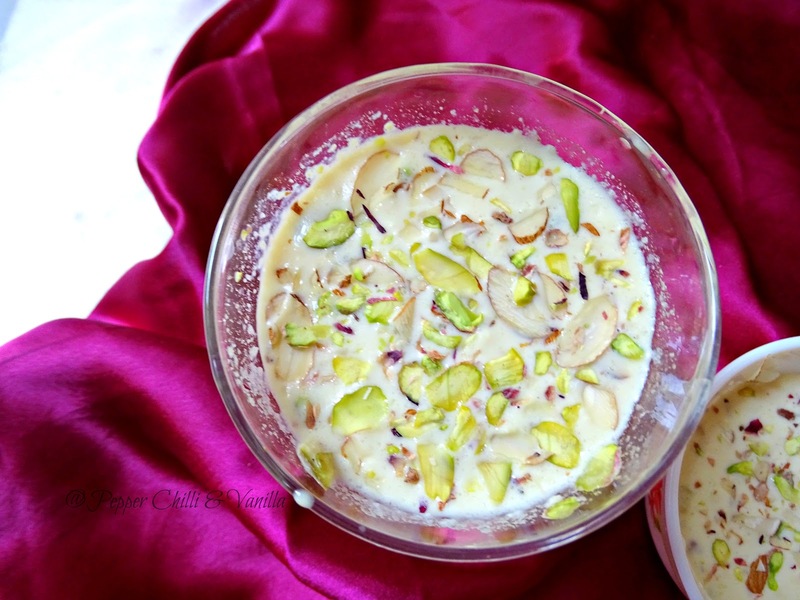 Basundi is easy to make but requires a little patience. Milk is slowly simmered till it reduces and then sugar and nuts are added.There is a quicker version which is done with milkmaid but I prefer the tradtional method of simmering the milk and sharing the same with you all today. The consistency of the basundi should be thick but still runny . Dahi Malai Murg or Cream Chicken absolutely lipsmacking dish ..Mild spiced creamy chicken chunks are just too tempting..I have made a dry version of this dish ..Usually its a thick gravy kinda dish and the gravy is nothing but thick yogurt marinade and lots and lots of fresh cream or malai ..I have kept it semi dry with just little cream to just coat the succulent chicken. 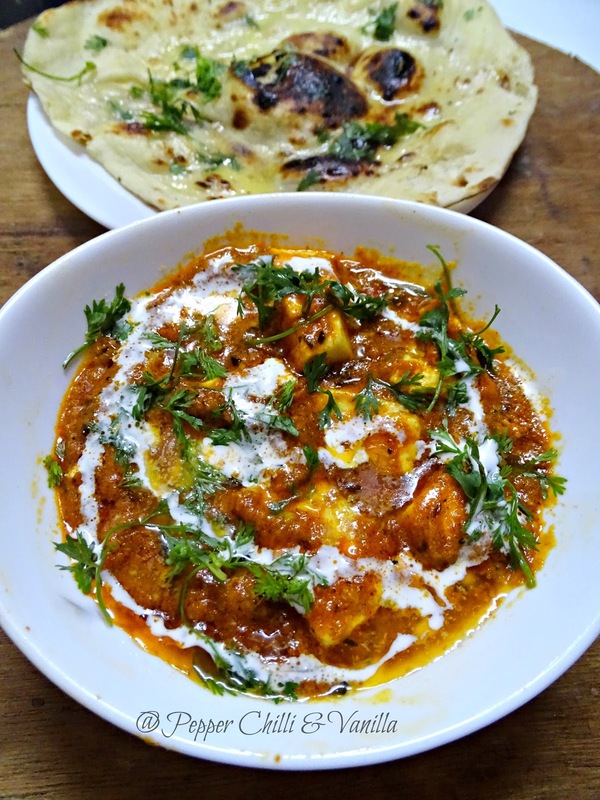 You can serve this semi dry version as appetizer or even as a side dish with naan or paratha ..With just few ingredients you can make a supremely delicious and yummy dish in the comforts of your home..
Wash the chicken make small gashes/cuts. Add the chicken cover n marinate for few hours. Add kasuri methi along with the cream. 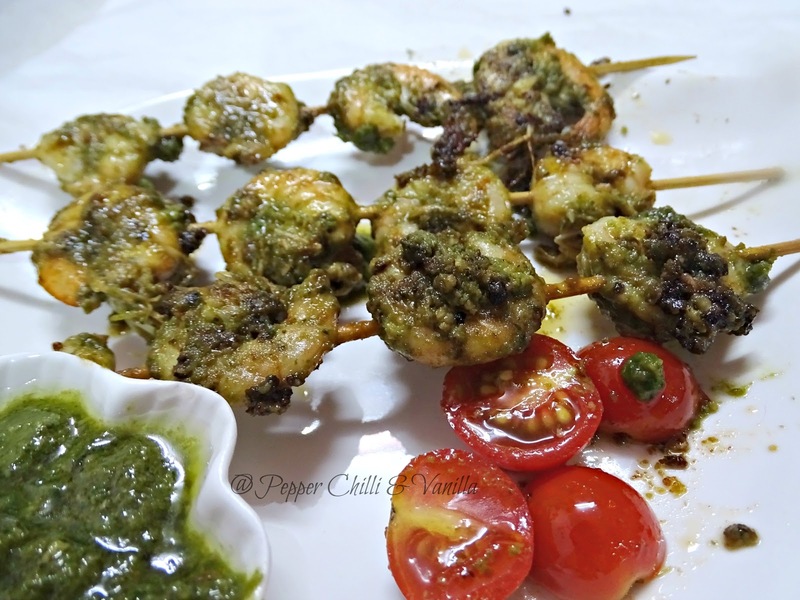 Feel free to add more green chillies or adjust the pepper according to your taste. I love slightly brown chicken so i have fried it on med high flame for 2 minutes after its cooked to get the light brown colour. The best way to feed bottle gourd to your kids .I have not added any artificial colour here.After trying and posting the famous mirchi ka salan from Hyderabad which was a super hit post in the blog. 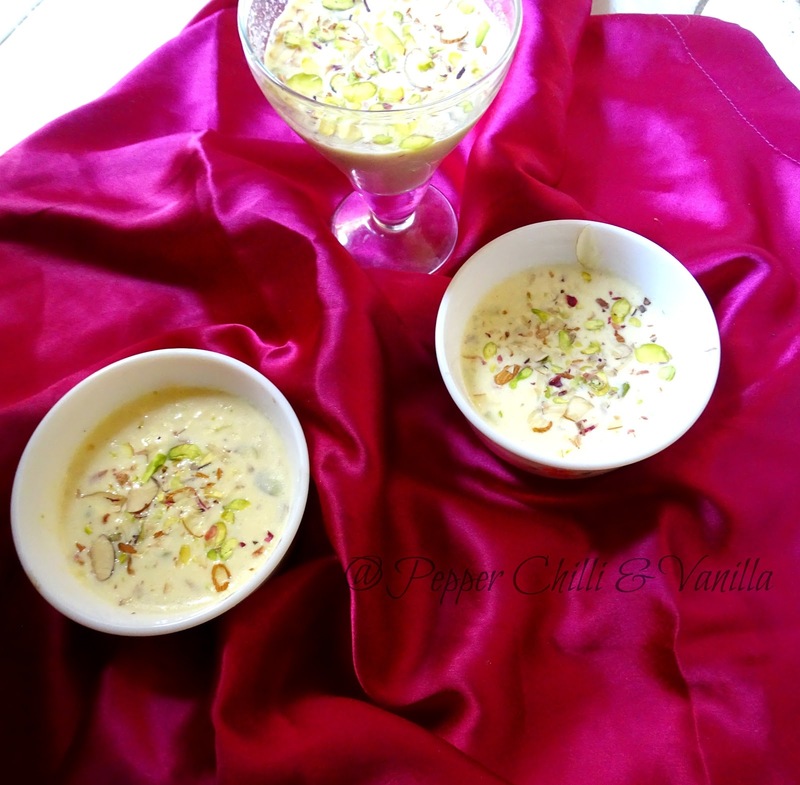 I thought of sharing some more recipes from the famous Hyderabad cuisine.Saty tune for much more exciting recipes in the blog soon..For now let's enjoy this delicious dessert . 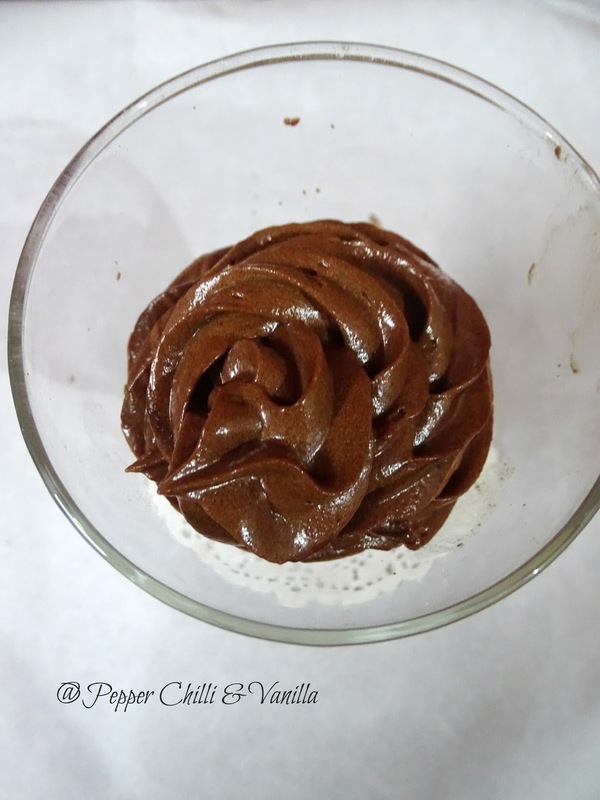 Do try this amazingly rich and delicious dessert .Your family will definitely love it..
Soak the basmati rice for 20 to 30 minutes,drain it and grind it in a mixer,we don't need a paste just a coarse kind of texture. Heat a pan add ghee ,then add the grated lauki and saute for 4 minutes over medium flame until the moisture evaporates. Cook well over medium flame until the rice is cooked. Add sugar ,cardamom powder and chopped nuts. If serving in earthen pots pour the kheer when it comes to room temperature ,chill it and then serve. 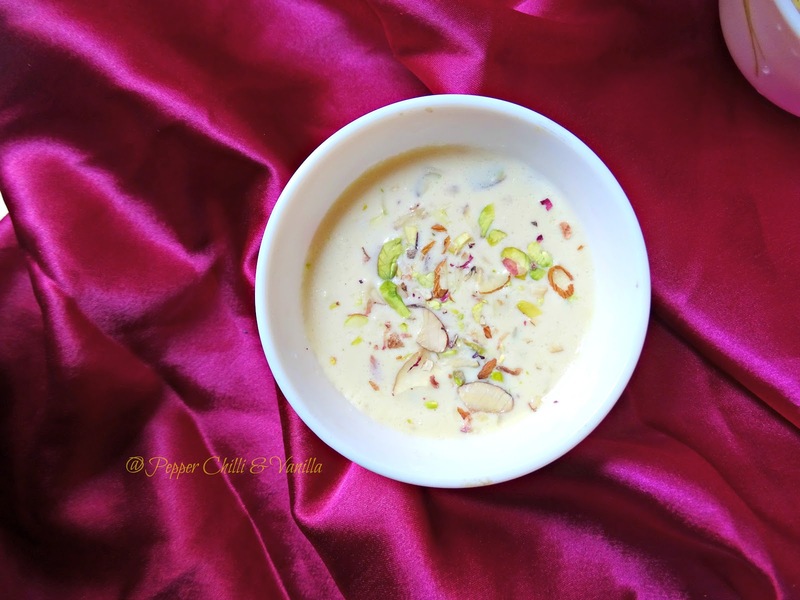 I have not used sago to thicken this ,usually sago /sabudana is added to thicken this kheer ,you can add about 3 tbsp soaked sago along with rice while cooking. Keep stiiring the kheer and cook it on med /low flame . 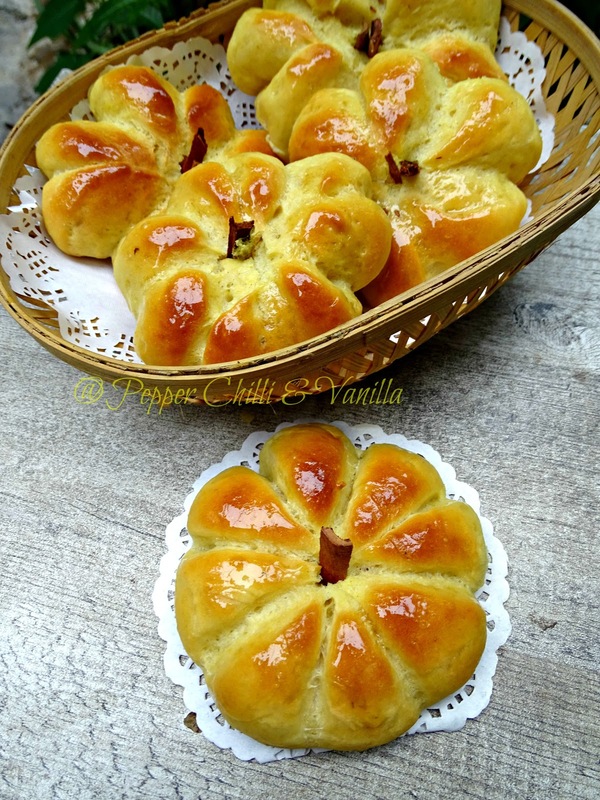 Rose essence can be added ,just use few drops after mixing sugar. 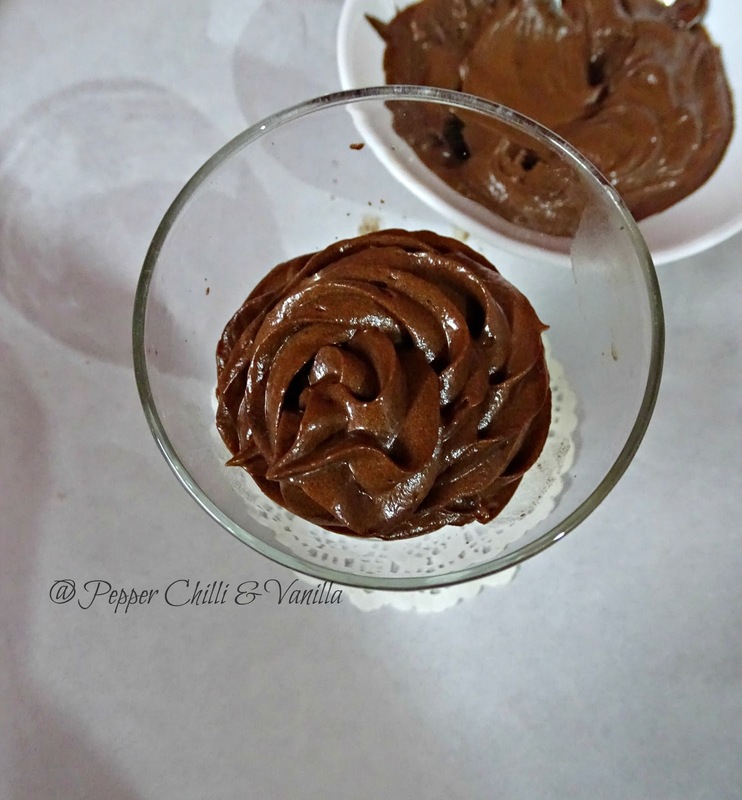 You can also add a pinch of green food colour to this dessert . 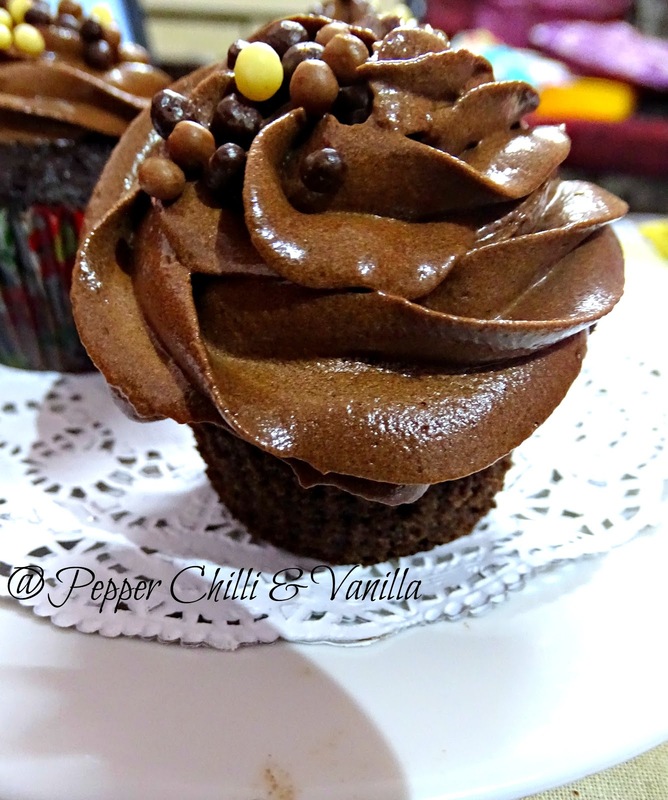 Chocolate cupcakes with chocolate Butter cream frosting who doesn't love cupcakes that too if frosted with some delicious chocolate frosting. 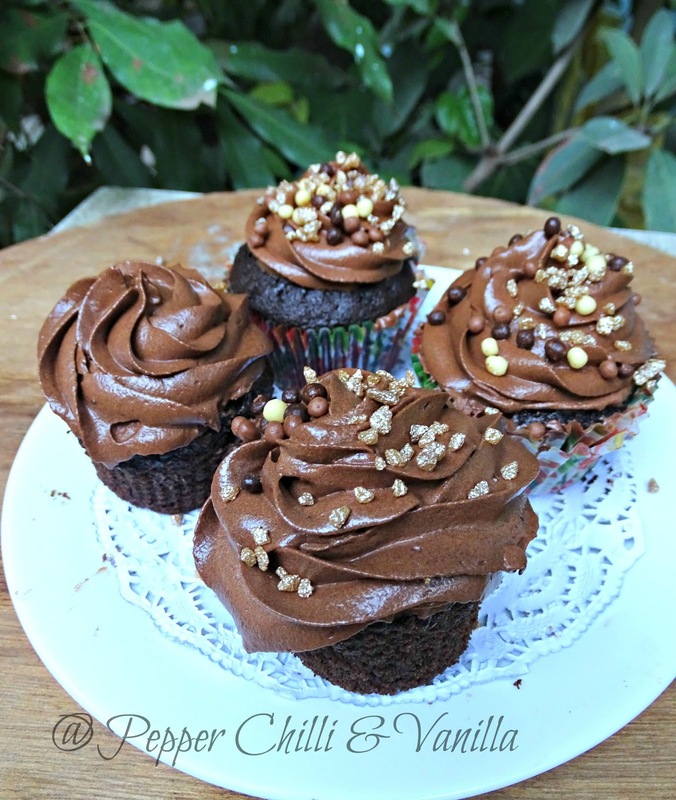 Try these delicious cupcakes you are going to love them I'm sure.. Mix together with a spoon,you can use a whisk and mix well. Mix sugar to this . 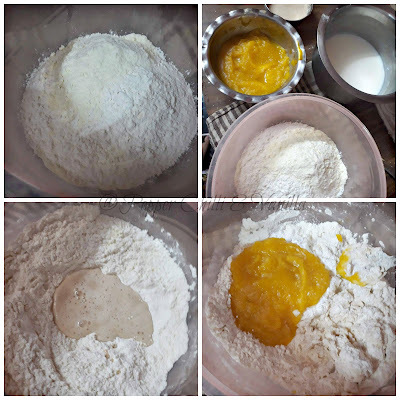 Add the sifted flour and vanilla and mix until combine. 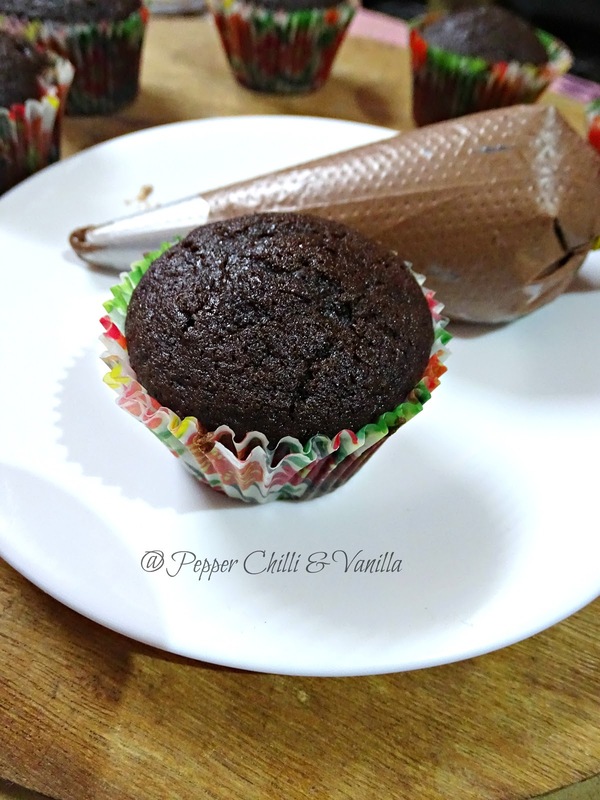 Preheat the oven at 180 degree Celsius for 10 minutes and line the cupcake mould with 2 liners in each hole. Fill half way and bake at 180 degree for 18 to 22 minutes. 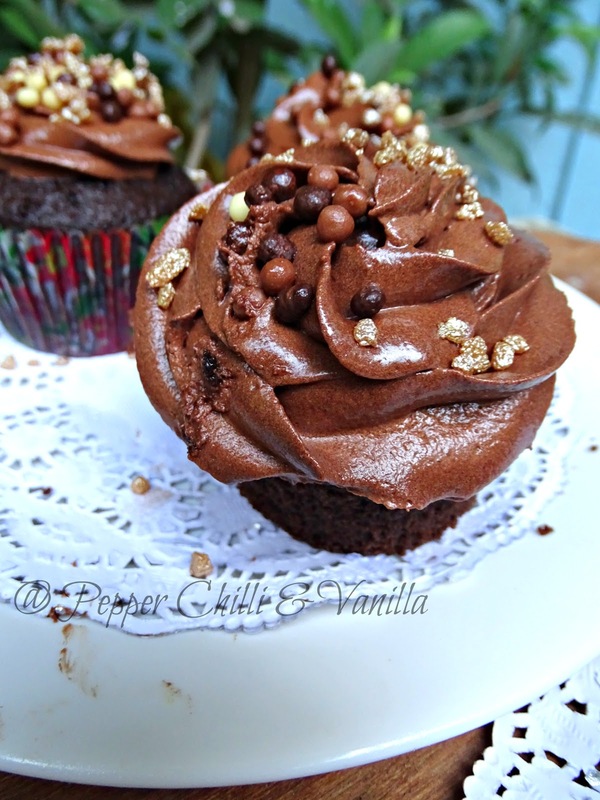 *Original recipe called for 1/2 cup brown and Castor sugar each ,I didn't have brown sugar at hand so used 1 cup sugar which i powdered. 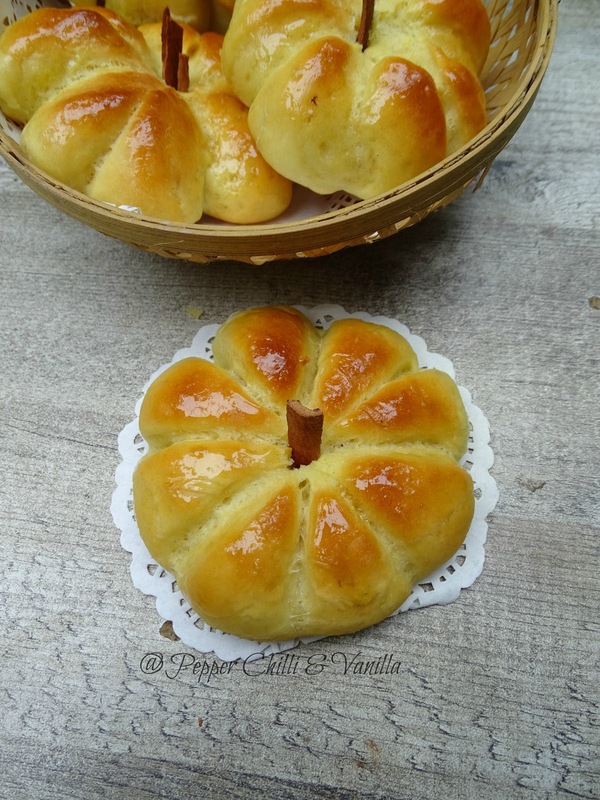 **Make your own butter milk by adding 1 tbsp vinegar to 1/2 cup milk mix and let it curdle then use . 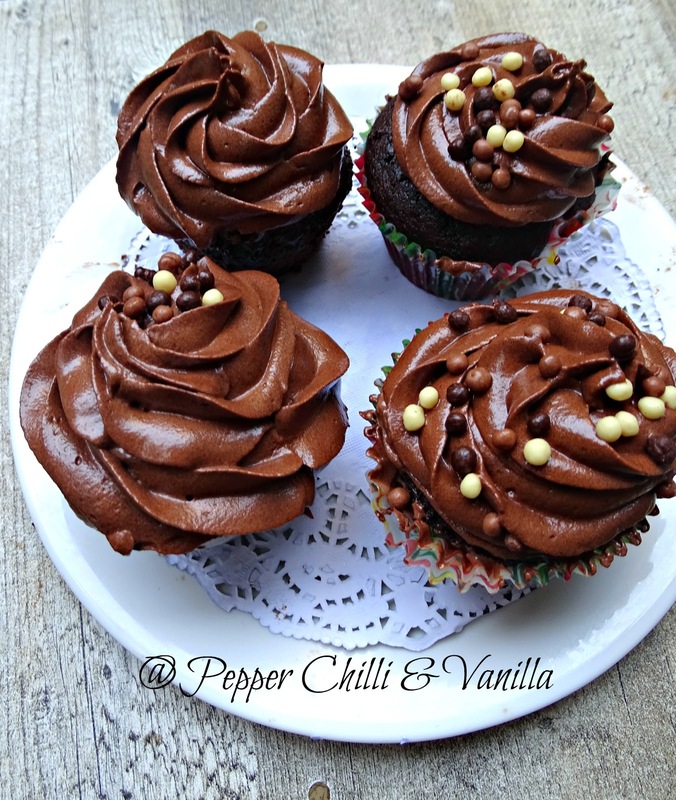 It took me exact 20 minutes to bake it may take about 18 to 22 minutes depending upon your oven temperature. 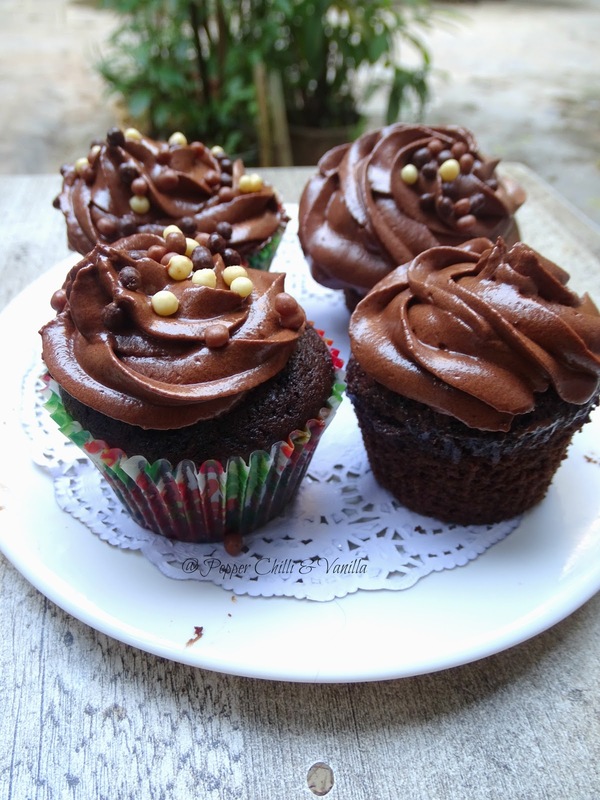 These cupcakes stay well for 3 to 4 days . 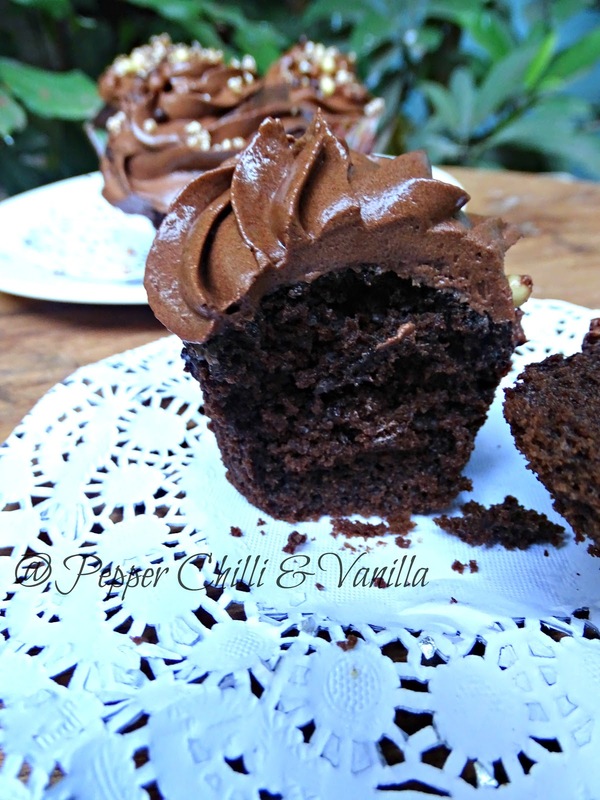 Fluffy Chocolate Buttercream ..A rich and chocolaty frosting ..perfect to frost your cupcakes and cakes .Personally I am a ganche lover but I do enjoy this delicious buttercream once a while.There's an eggless chocolate cake with buttercream frosting in the blog already but here i have already the recipe . In a bowl take butter at room temperature and beat till fluffy. 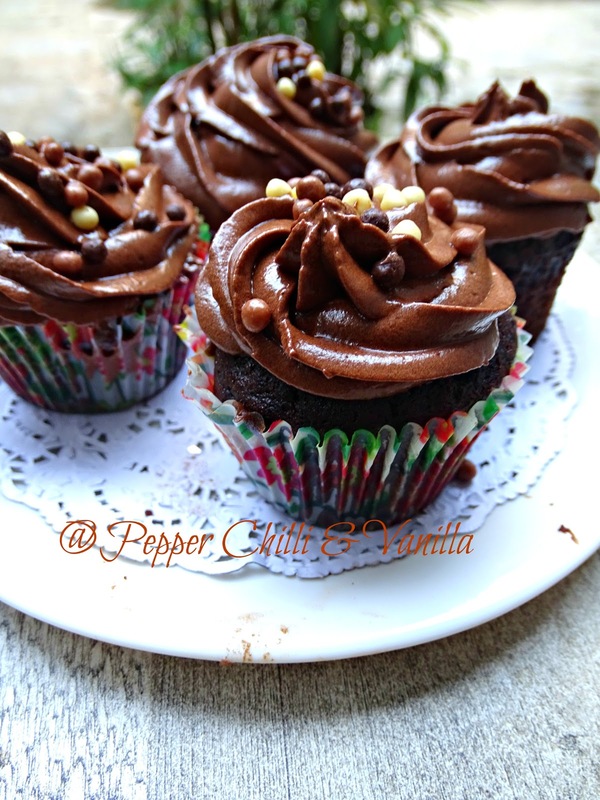 if the buttercream doesn't hold shape while piping ,keep the piping bag filled with buttercream in the fridge for 15 to 20 minutes then pipe. whip it till fluffy and frost. 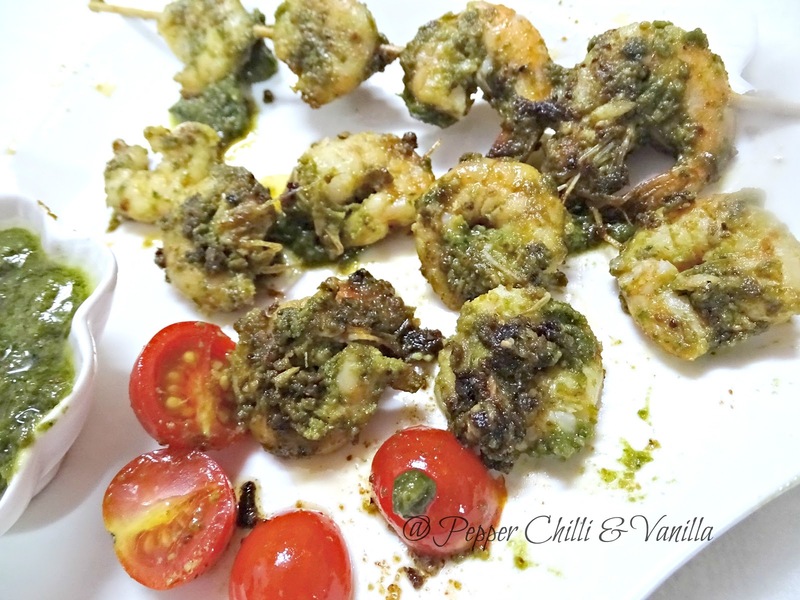 Pesto grilled shrimps or prawn skewers is a great appetizer or starter which I tried in one dinner buffet ..I love pesto and i knew i had to give this a try ..At the very beginning of my blogging journey i had shared pesto and pesto pasta .After a very long I'm sharing another hit pesto dish. 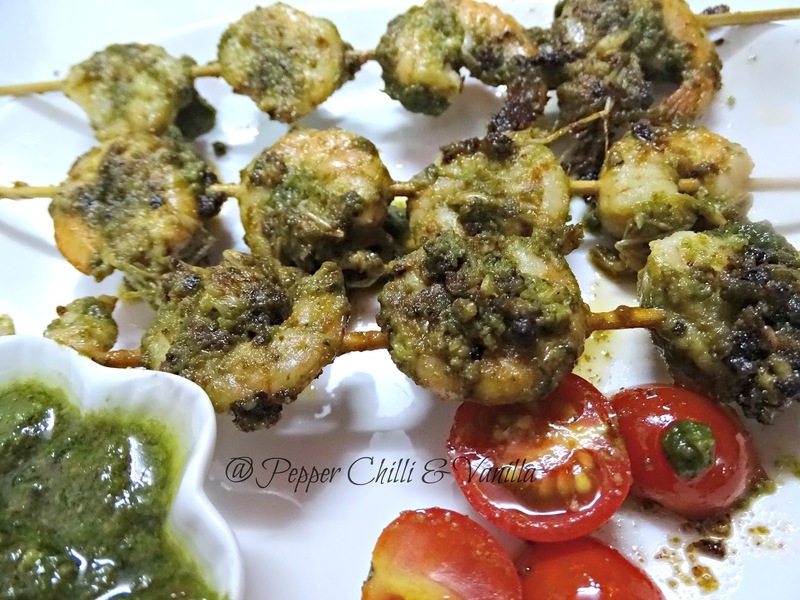 The flavours of this yummy pesto marries well with prawns or shrimps and makes it was just amazing..
You can marinate these skewers ahead and just grill or pan fry them while you serve it foe barbecue party or any get togethers..your family and friends will love it absolutely. 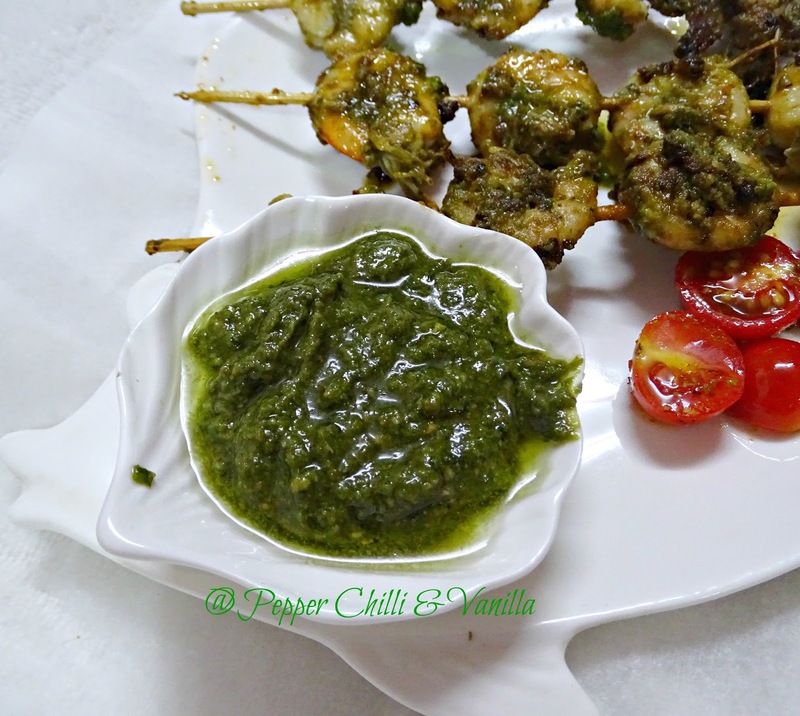 You can serve this with garlic noodles or any herb rice..its simply sumptuous. If you have a bottle pesto made ahead then making this can be done in.no time but marinating these a little longer brings out some.lovely flavours. Devien and remove the shells of the prawns you can keep the tail intact it looks good and also taste delish. Soak the wooden skewers in water for 15 to 20 minutes. 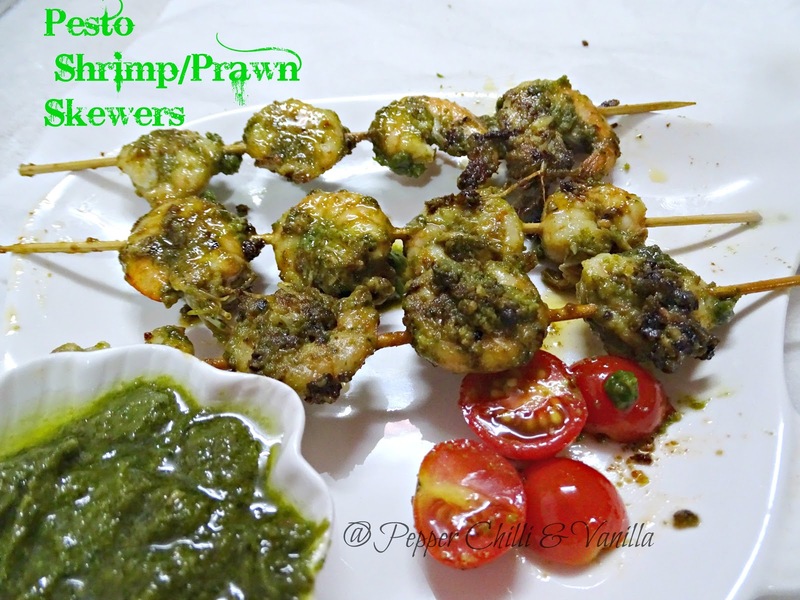 Place the marinated prawns in skewers and keep it in fridge ..let It marinate for 3 to 4 hours. You can brush some oil or butter to baste it. 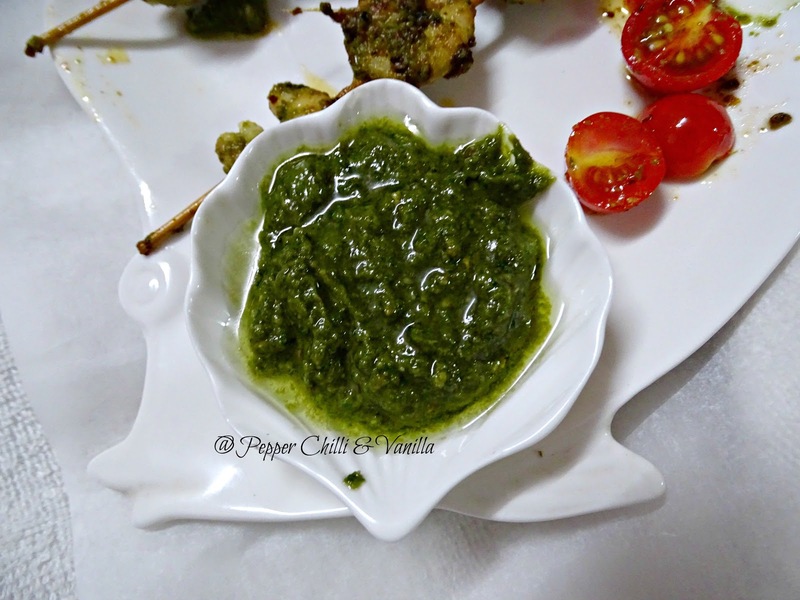 Pesto is one of my most favourite sauce I love the flavours the freshness of this delicious basil pesto.I have shared pesto already in my blog in the early years of blogging there I had used Amul cheese Here I have made it the authentic way with basil pine nuts and Parmesan cheese. 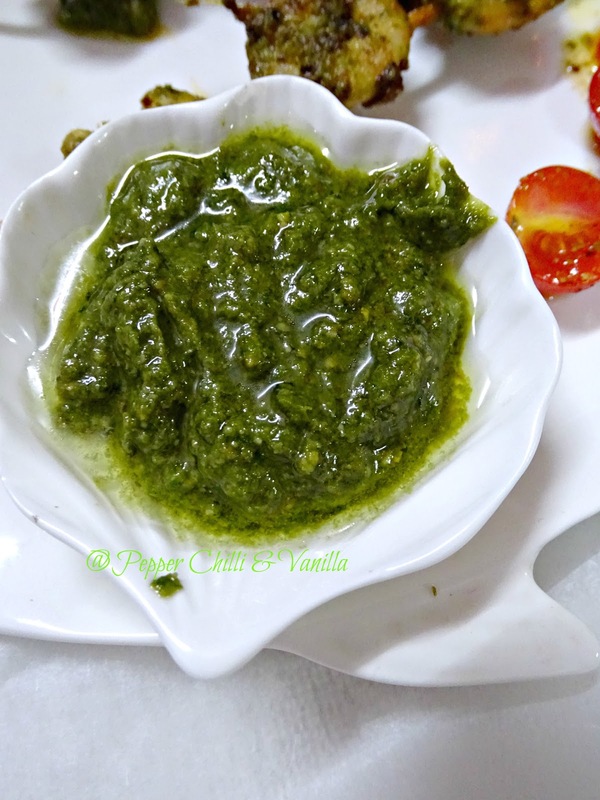 This pesto is a wonderful to add flavours to your pasta your pizza and even great as a marinade. Store it an airtight container. Add olive oil on top of the pesto while storing in the refrigerator. 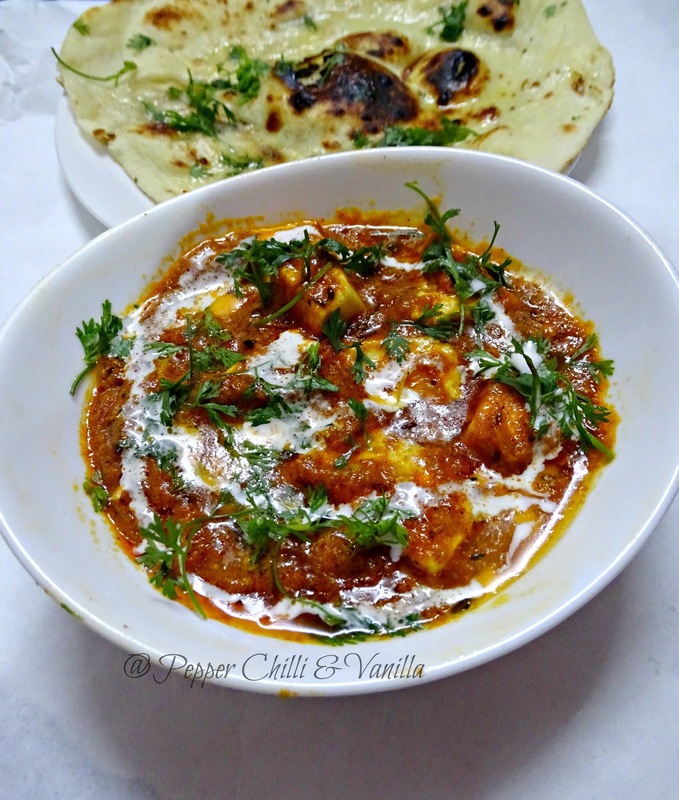 Paneer Cheese Masala is one of most loved dish at my place.I'm a cheese lover and for the love of cheese experimented with this recipe.I had paneer cheese masala at my friends place which was slightly different than this one.. it had capsicum and onions cut in cubes and also had grated cheese only I have added cream cheese to the gravy which makes the dish more yummy and creamy...Paneer Cheese Masala is dish Creamy delicious mild spiced gravy with soft homemade paneer. 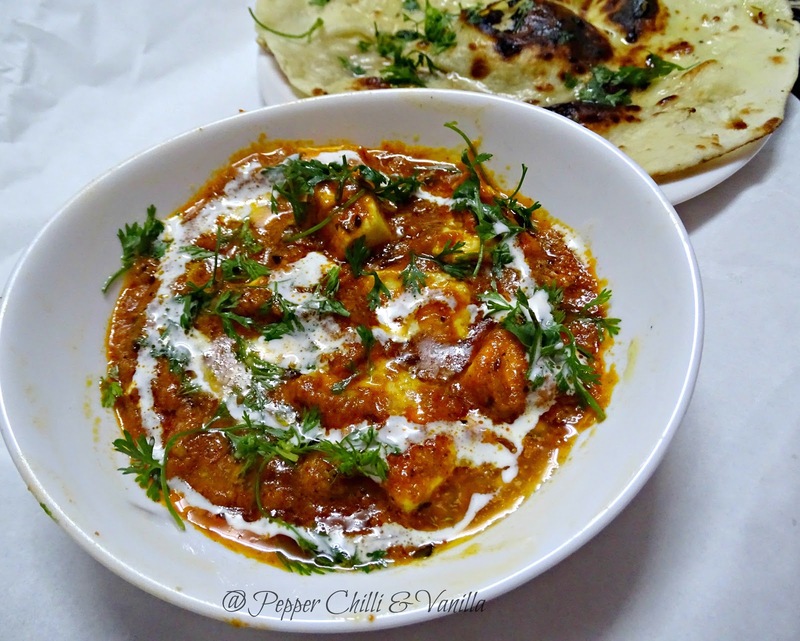 This paneer cheese masala is simply yummy and easy to make. 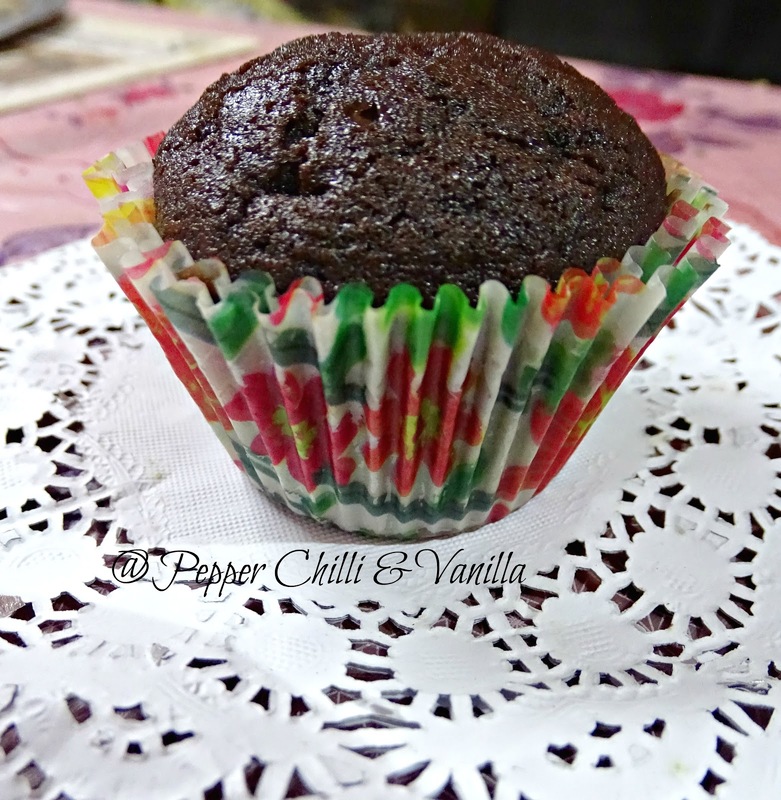 2 cubes cream cheese or 2 tbsp. Heat a pan and slightly saute the ginger garlic and onion till it turns soft. Grind the tomato onion and cashews to a smooth paste. Add cumin seeds let them crackle. Add the red chilli and garam masala powder and salt. Add the processed cheese cubes ,butter and coriander leaves and serve immediately. 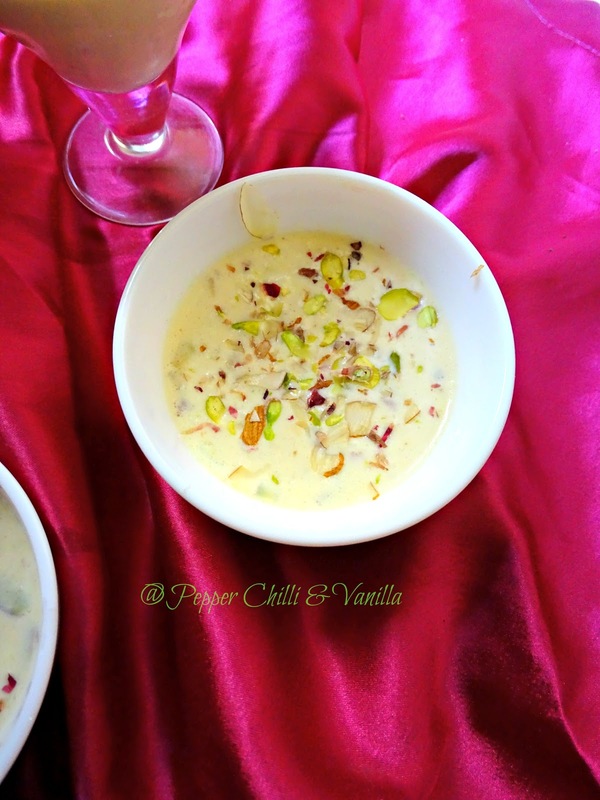 Drizzle 1 tsp cream and serve with naan roti or jeera rice. 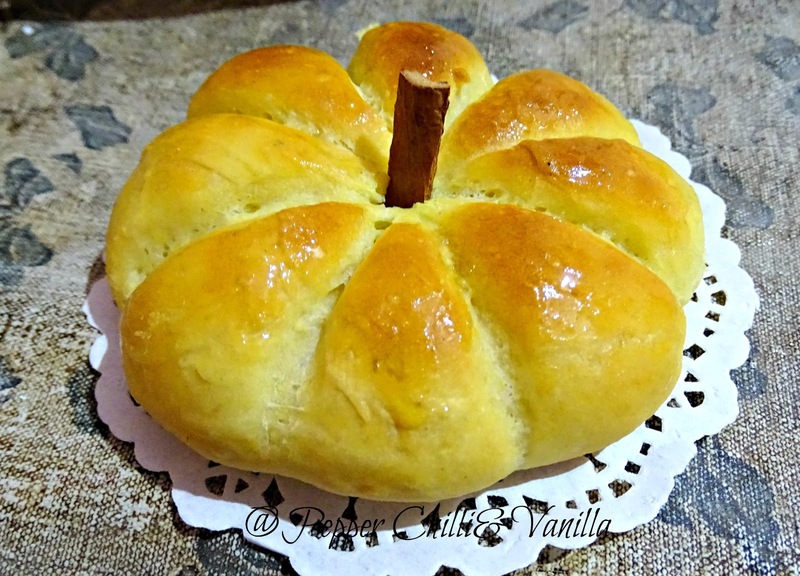 You may use cheese spread or any cream cheese I have used laughing cow cream cheese. Add the cheese cubes just when the dish us ready and when you switch off the flame else it will melt. You can either used grated cheese or cheese cut in cubes. 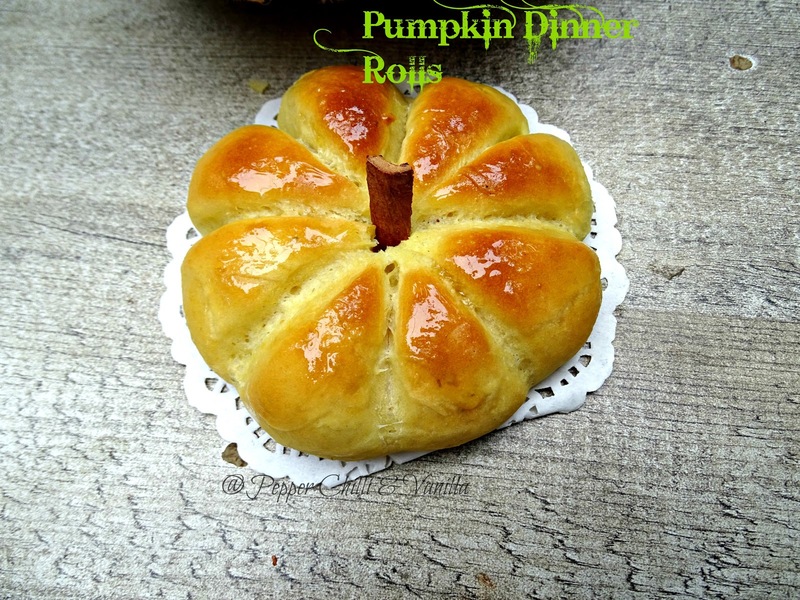 Pumpkin dinner rolls or pumpkin buns..These pumpkin shaped dinner rolls are super soft and delicious buns. 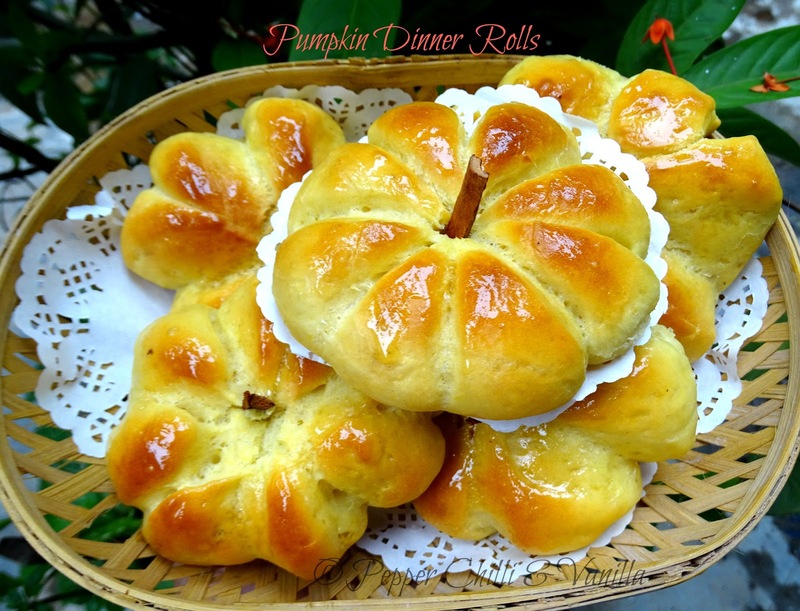 Adding pumpkin puree gives a lovely flavour to this dinner rolls..Though I used the straight dough method they still turned out pillow soft and delish. These Eggless Pumpkin dinner rolls were a show stopper at a dinner party at my place .Not only these rolls or buns look cute but taste great .Sweet soft dinner rolls were well received by all..Loved especially by kids .I also made pumpkin chocolate cinnamon rolls which were an instant hit as well..Will share it in the blog later. 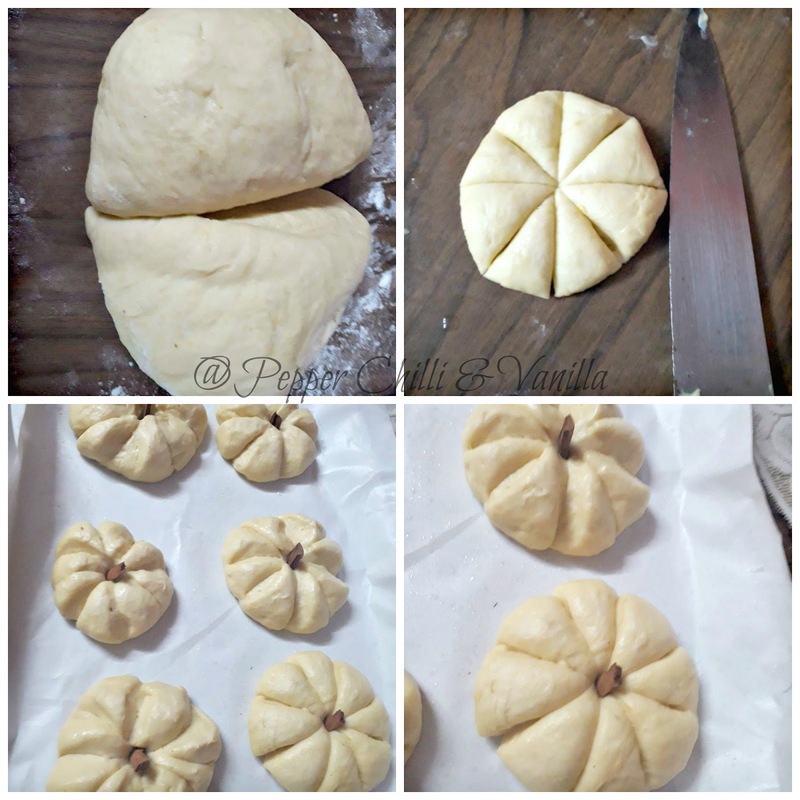 To make these pumpkin dinner rolls you will need pumpkin puree I made my own by cooking it in pressure cooker it can be done in an open pan as well .After its cooked the water is drained and then you either mash it with fork I blended it in a mixer. Add yeast and 1 tsp sugar to lukewarm water,cover let it froth . In a bowl mix sifted flour ,salt and milk powder . 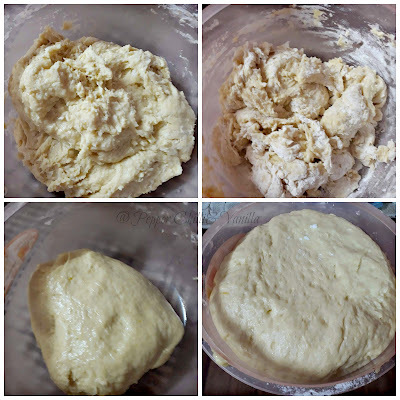 Add butter and oil and knead for 6 to 8 minutes till you get soft smooth spongy dough. 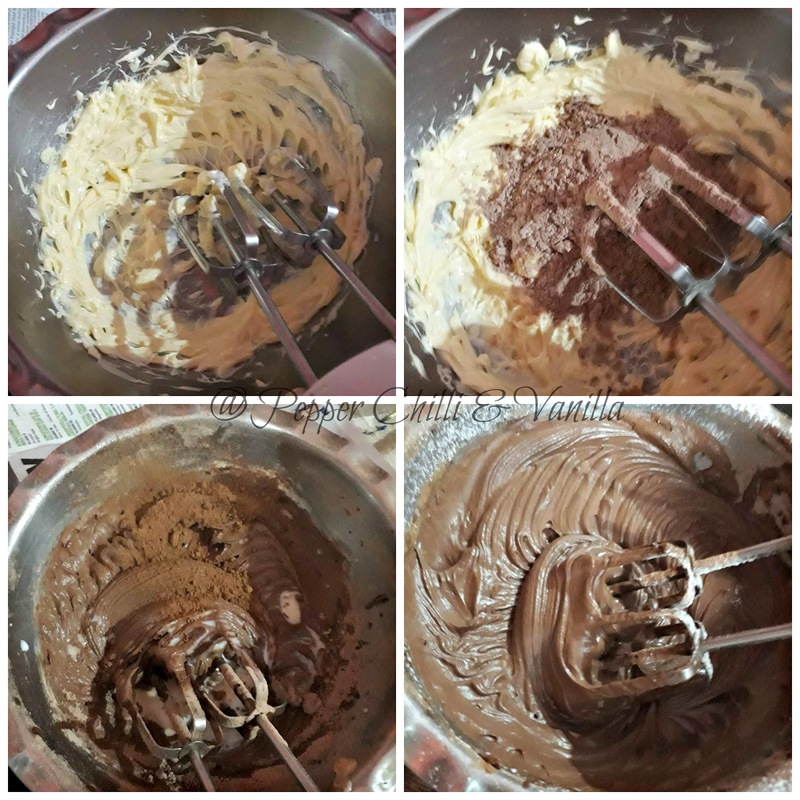 Place the dough in a greased bowl and cover with foil and allow it to double. 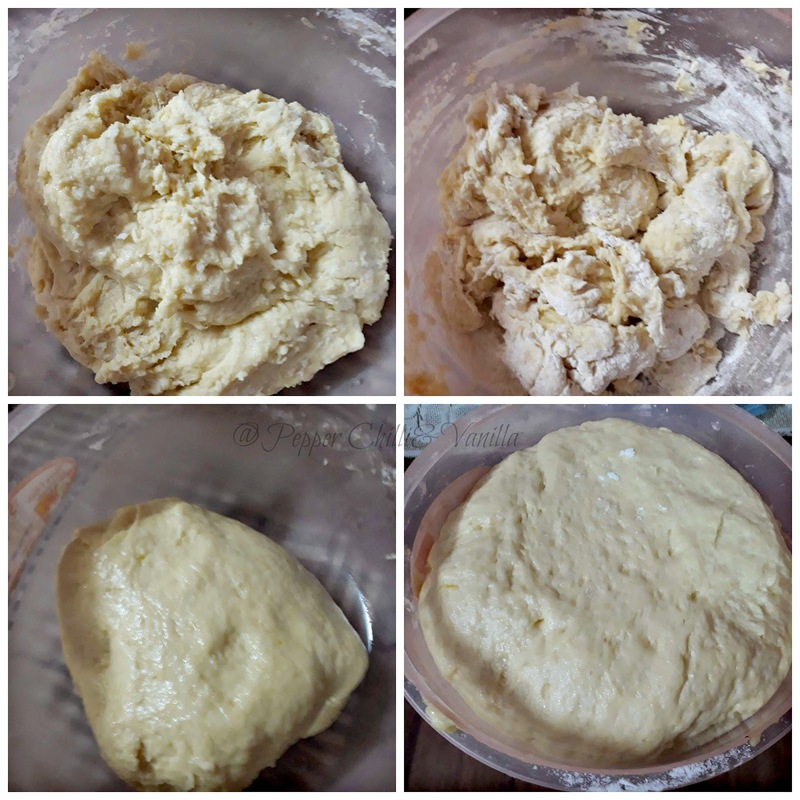 Once doubled knock down and knead for 3 minutes. 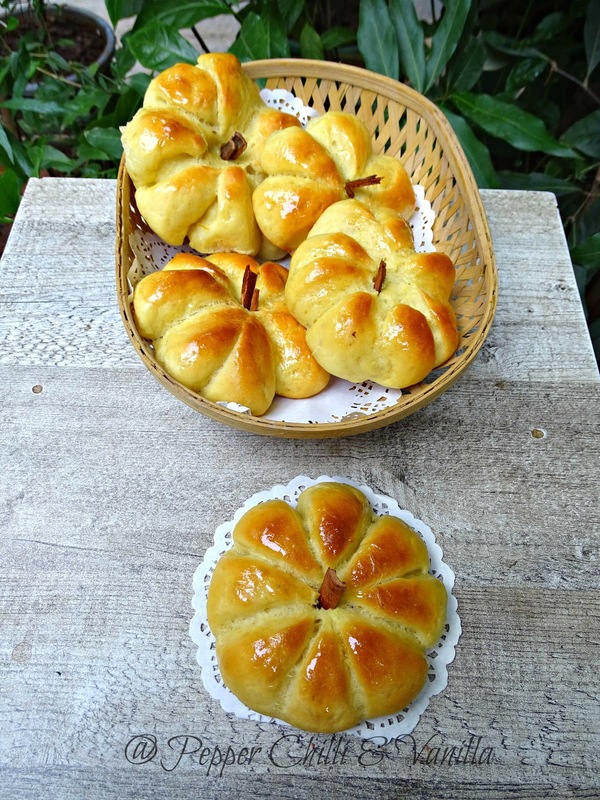 Apply little oil on your hands and on dusted surface divide the dough into 12 balls. Shape it round and slightly flatten with your hand . 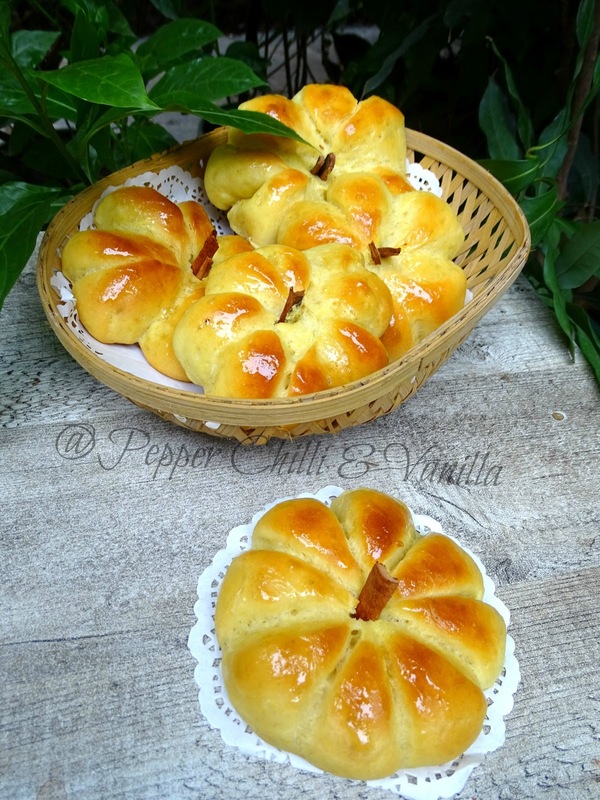 Place the shaped buns on a baking tray lined with parchment or butter paper. Cover with a damp cloth and allow it to proof till double. 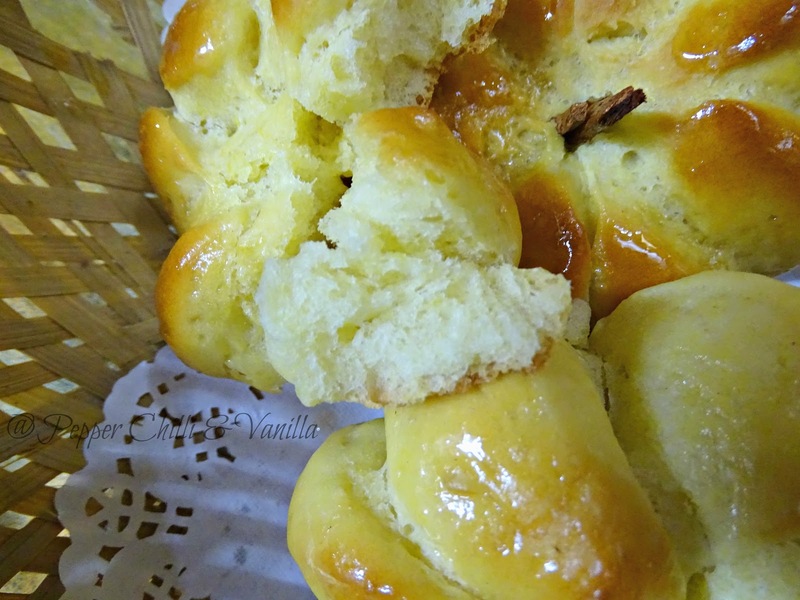 Bake for 15 to 18 minutes or until the top is golden brown.